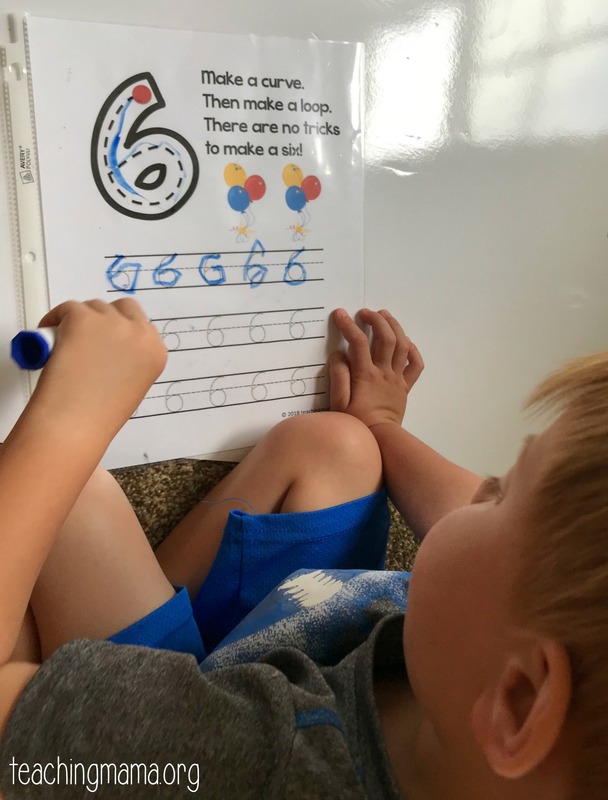 It’s so exciting to watch a child learn to write! Just like reading, writing takes time and practice. It’s not a skill that’s developed overnight. 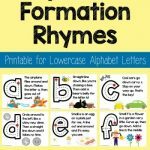 Children have to practice fine motor skills to build up hand strength, learn how to hold a writing utensil, and learn the formation of letters and numbers. 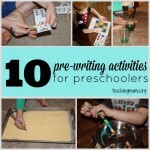 In my experience, older preschoolers or kindergarteners are at a good stage for learning to write. 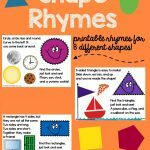 I love using my number rhymes to teach how to write numbers! 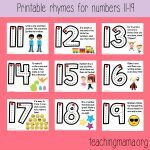 I’ve written rhymes for numbers 0-10 and numbers 11-19. 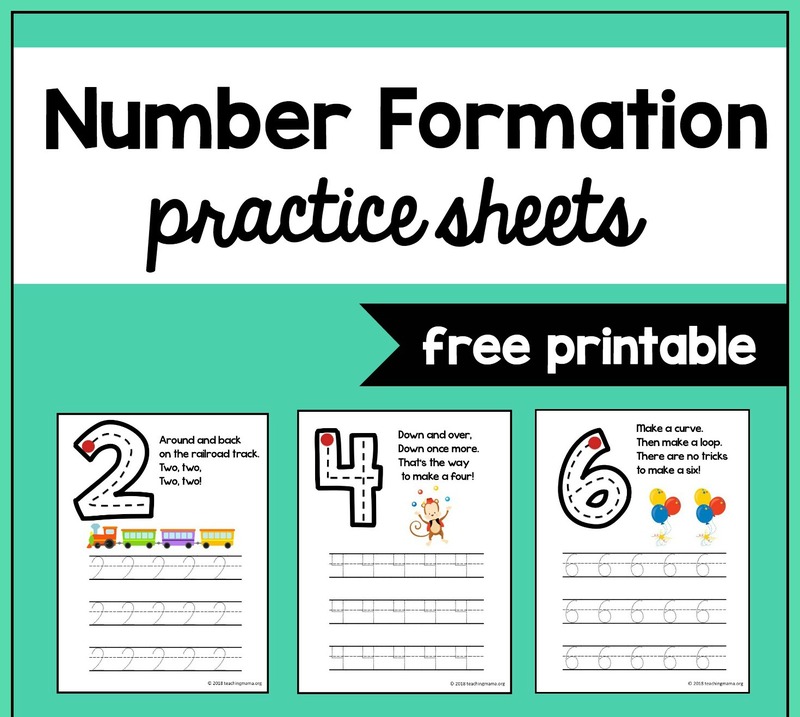 Today I’m sharing with you free printable sheets for children to practice writing these numbers. 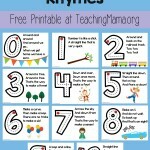 I created the number rhymes printable posters a while ago, but I knew something was missing. 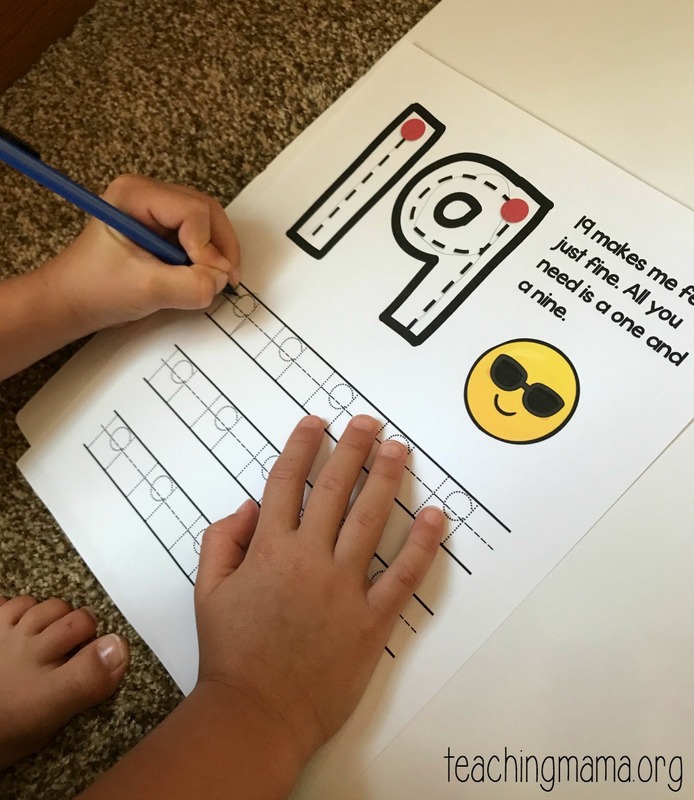 The posters are great for displaying around the classroom or using to trace with a finger or writing utensil, but I wanted some sheets for children to practicing writing numbers. That is exactly why I created these printables for you all! 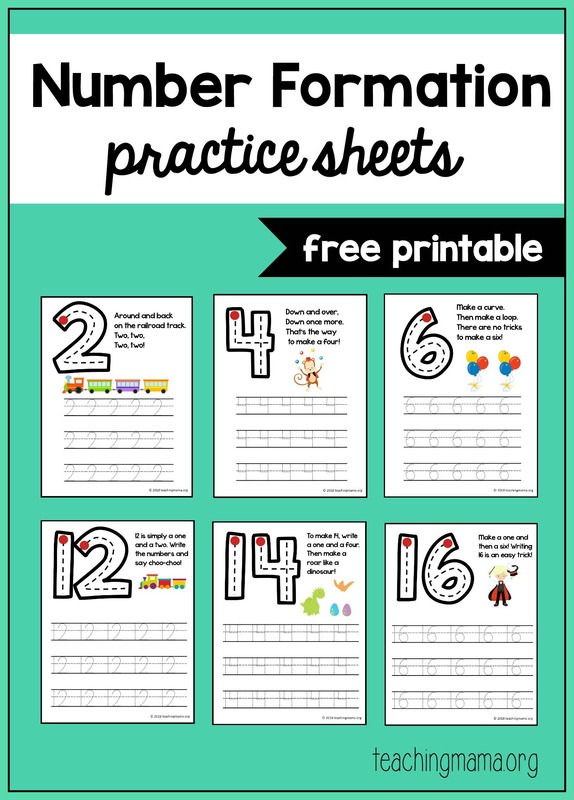 I am not a big fan of only doing paper and pencil worksheets to practice writing. Once a child is old enough and is strong in fine motor skills, I recommend learning to write with a pencil. My almost 4-year-old and almost 7-year-old tried the sheets out for me! My youngest has never written numbers, so this was all new to him! I put the paper in a plastic sleeve and gave him a dry erase marker. This makes writing a lot easier for a beginning writer. As you can see, he isn’t holding the utensil the proper way, but he will get there! 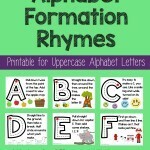 He was SO exited to hear the rhymes and learn how to write letters! Every time he saw the red dot, he knew that was where he needed to start writing the number. We have a lot of work to do, but at least he was excited to try! 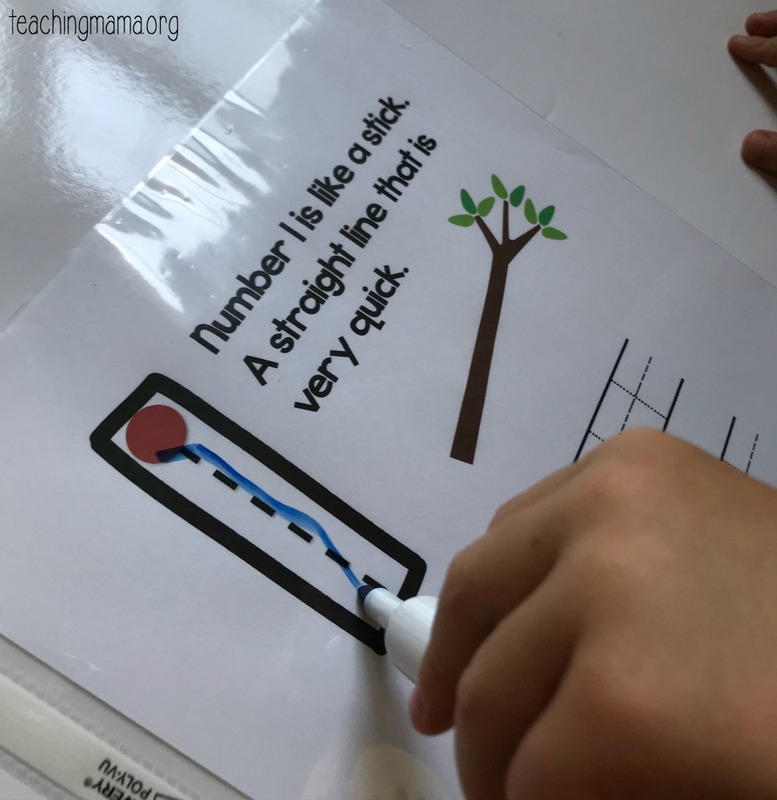 My older son had no problem forming the numbers, but it was still good practice for him! Let me know how you plan to use them! Happy learning! These sheets are awesome- thank you so much for sharing all your freebies! Just wanted to know why there isn’t #20 included? Thanks! I only wanted to do up through the teen numbers and didn’t want to go up through the twenties. I’m sorry if that’s confusing! Do you have a number 2? Yes, number 2 is included in the printable.